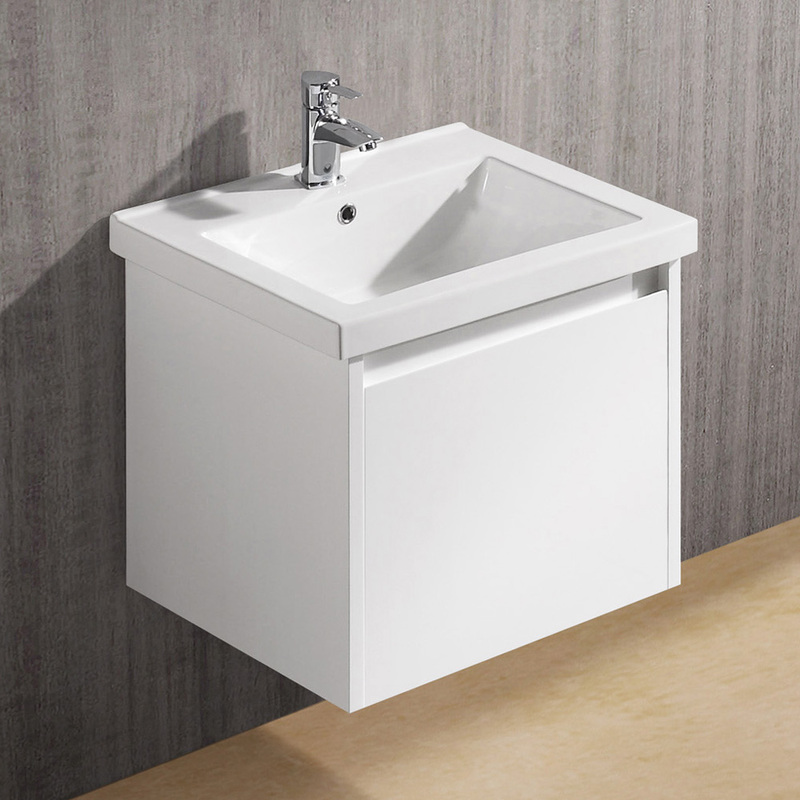 Petite and simple in style, the 23.5" Bianca Wall-Mount Single Vanity will do wonders to any small bathroom. 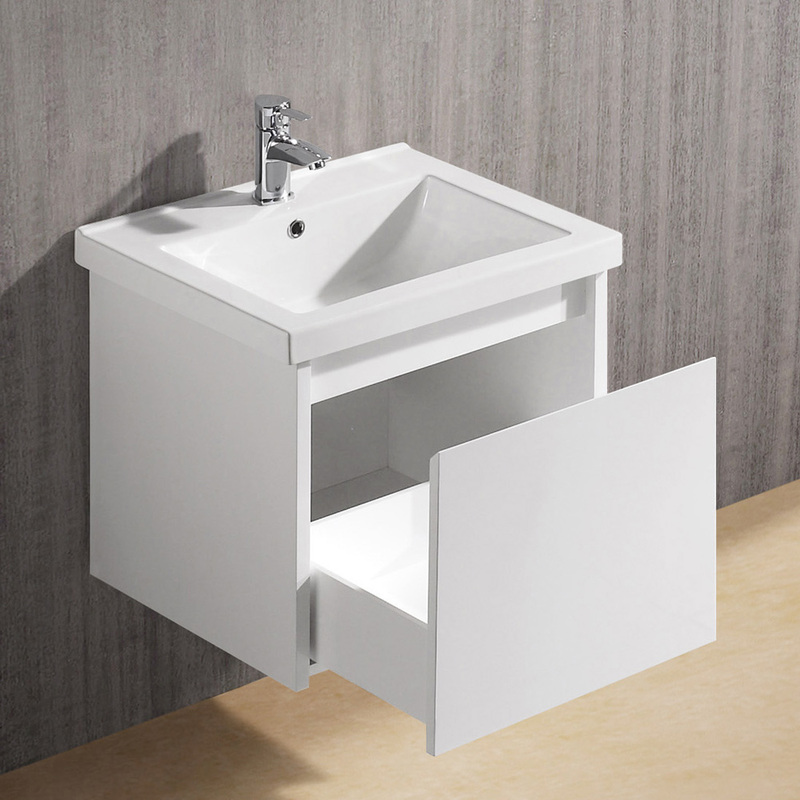 Its wall-mounted design takes it off the floor to give your bathroom a more spacious appeal, while its white gloss finished cabinet makes it versatile and fitting in any style bathroom. 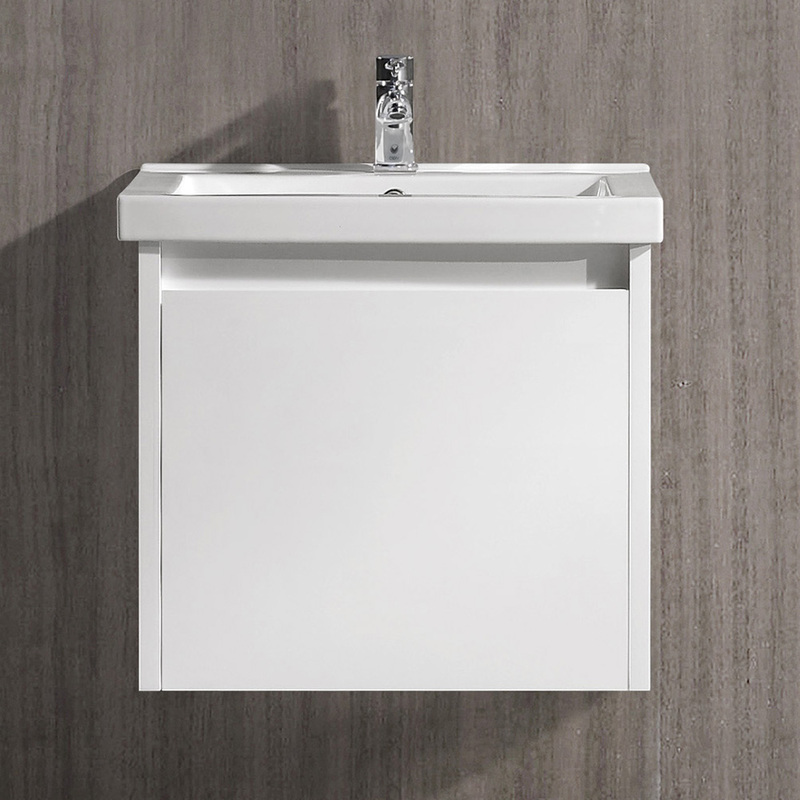 Made from solid engineered wood, the Bianca features a single pull-out cabinet, with a ceramic integrated sink top to reduce spillage. 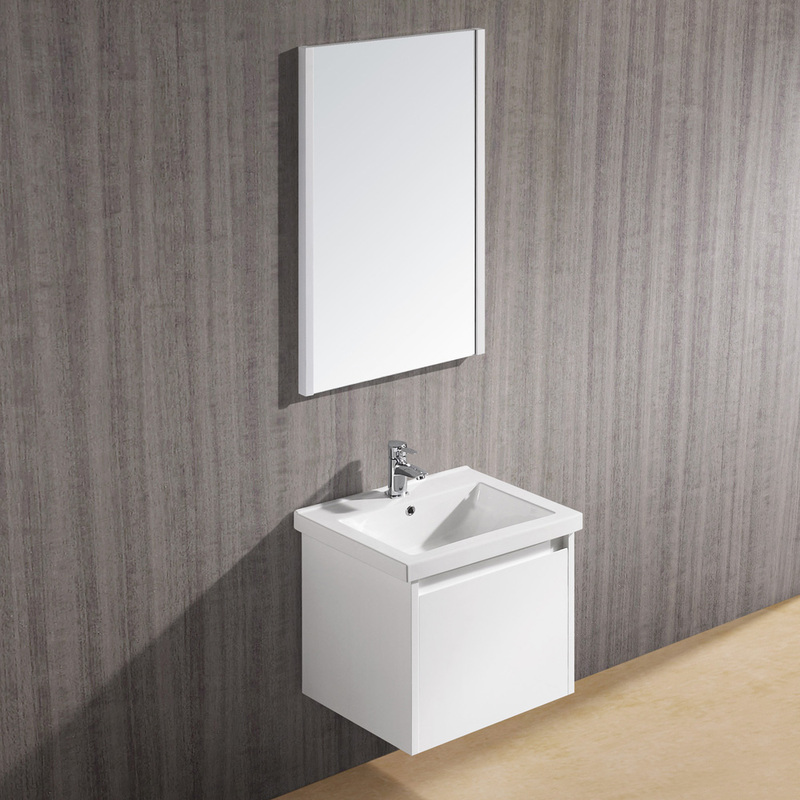 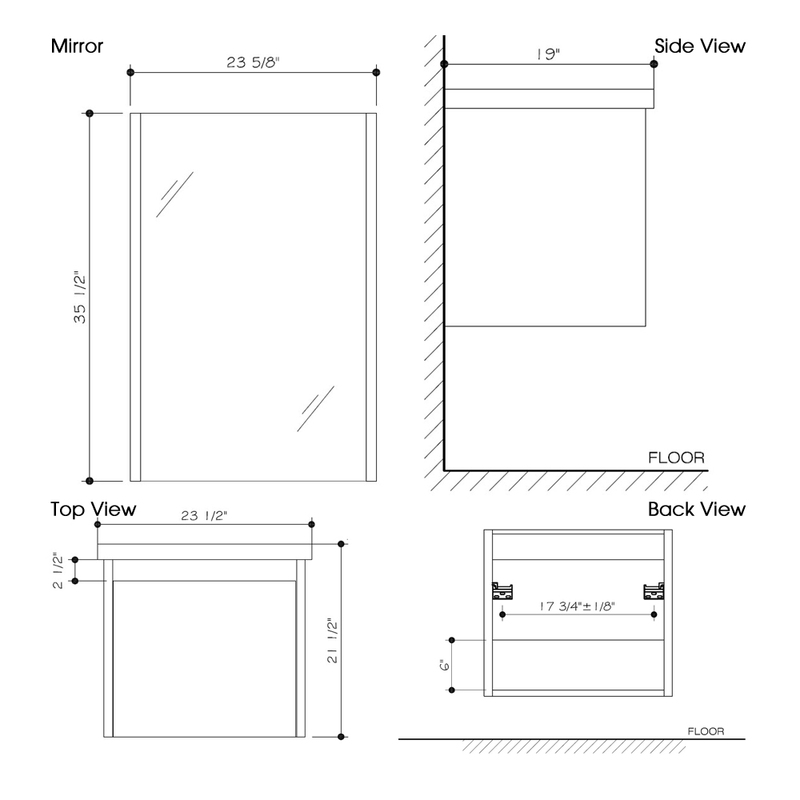 Match the Bianca with its matching mirror, with matching white finished trim.